Tracking zoom lenses* are of great benefit to users. However, to get the best performance from your tracking zoom lens you must set it up correctly each time you use it on a new camera. If you only use the lens on a single camera then the set-up need only be performed once. However, it is recommended that you periodically check the set-up to make sure nothing has changed and best performance is maintained. Step 3. Repeat steps 1 and 2 several times until focus is maintained at either end of the zoom without having to refocus. You will now find that optimum image quality is maintained at any point within the zoom range. Your Zoom Lens is now set for optimum performance. Please keep in mind that this set-up procedure should be carried out even if you are swapping the lens between cameras with the same standard lens mount. Tiny positional errors between the camera register and sensor position can be enough to stop your lens tracking correctly. 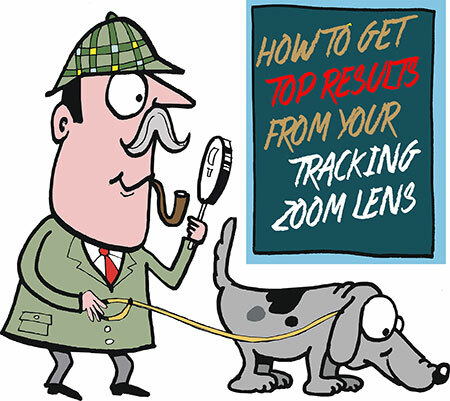 ** The term “tracking zoom”” is used to describe a zoom lens that, once set-up, will maintain focus throughout the full zoom range of the lens.